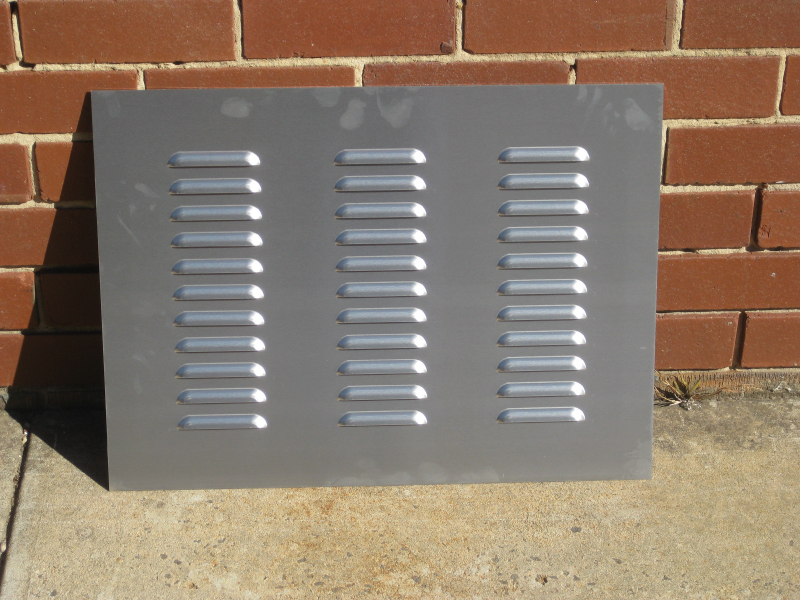 We sell racing louver panels 620mm wide x 455mm high approx, which have 3 rows of 100mm wide louvers pressed down the panel. The panels are made from 1.5mm aluminium. We have a couple in stock. 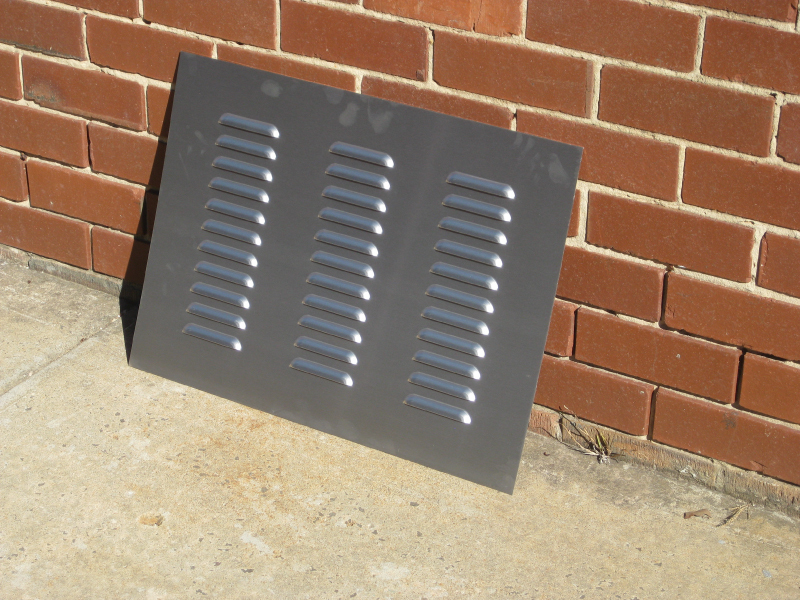 The louver panels themselves are about 1.2kg without packaging, but they are too large to fit in a 3 kg express satchel which is why the weight is put down as 5kg so can be sent via post.